WA Architecture Week 2013 kicks off this weekend with events in Perth CBD, Northbridge and East Perth. Below are my picks. For the complete program, visit the Institute’s WA Chapter website. 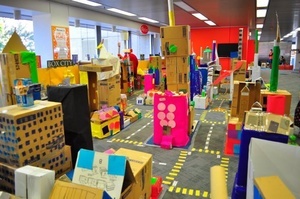 Children (4–12 years) will be encouraged to explore designing and constructing their own cardboard city, including requesting permits, ordering materials. A competition to construct iconic buildings out of Lego. Conveniently timed after Box City and also takes place at the State Library of WA. A guided tour of Perth’s heritage gems including the Museum, PICA, State Library and the Perth Cultural Centre. Council House and Trafalgar Bridge will light up and spell “architecture”. 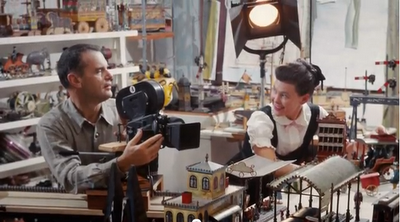 A film screening drawing on archival material and new interviews with friends, colleagues and experts capturing the personal story of one of 20th century design’s most influential couples, Charles and Ray Eames.